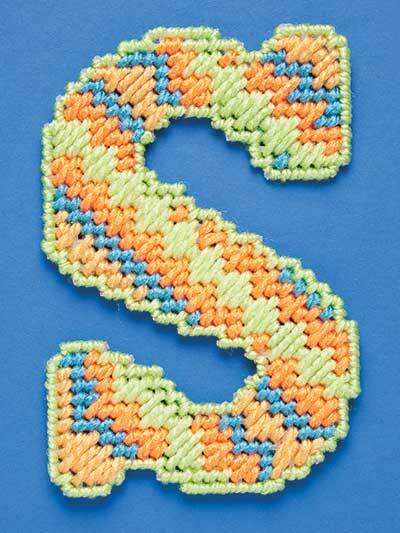 For fun from A to Z, stitch these designer alphabet letters! 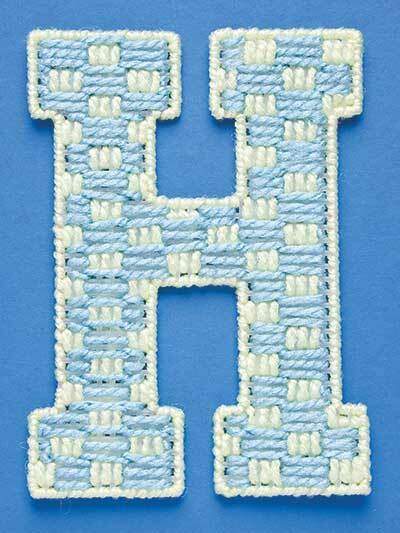 Cut from 7-count plastic canvas, these letters can be joined to spell out welcome signs, nameplates for children’s rooms, crib mobiles, gift baskets, party decorations and many other imaginative adornments. 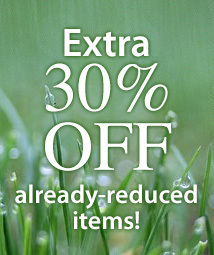 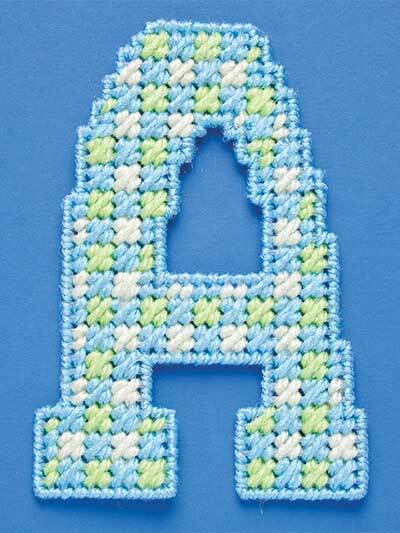 Instructions include stitch pattern guides for 9 different designs that can be used on any or all of the 26 letters. 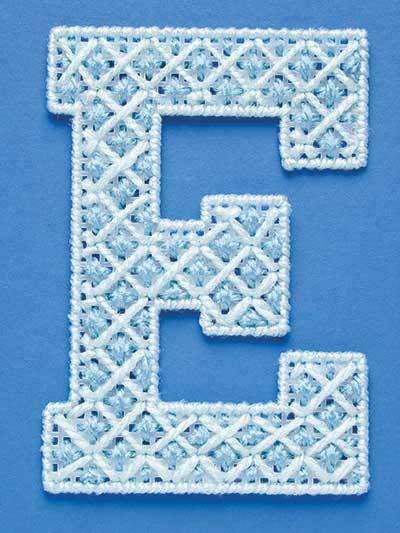 Each letter is 5 3/8" tall. 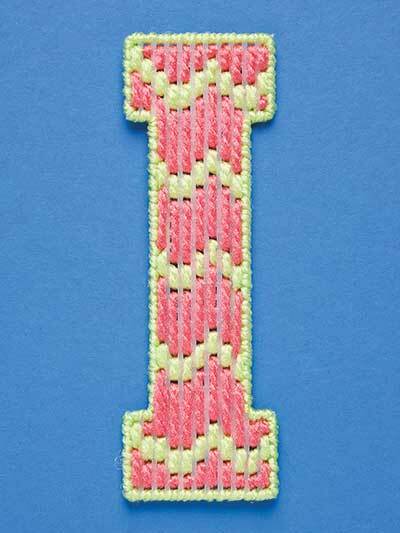 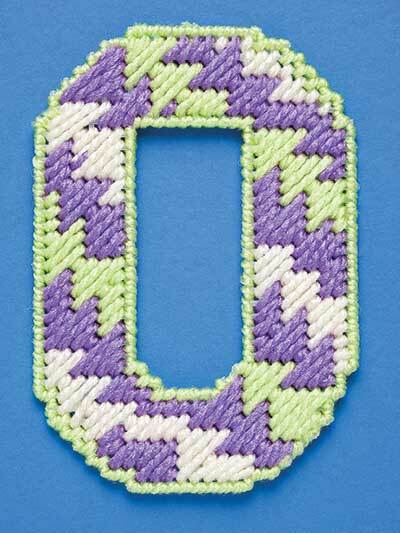 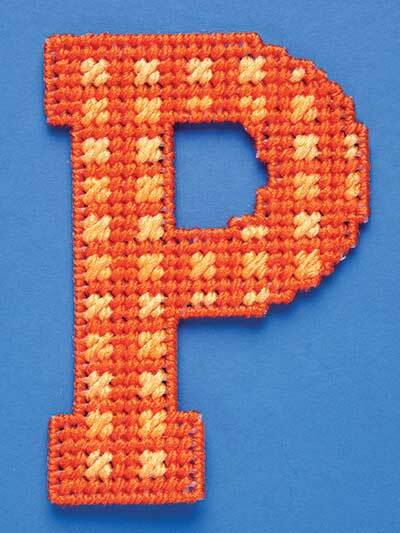 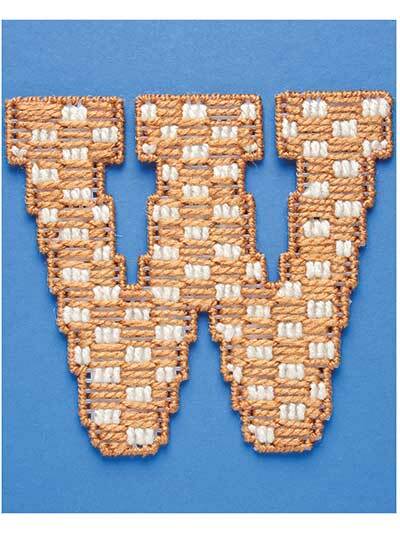 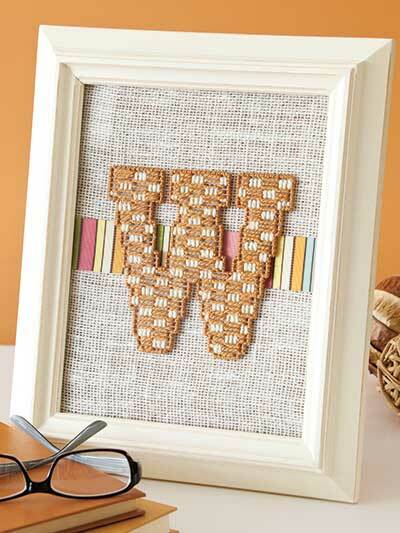 For smaller letters, cut pieces from 10-count plastic canvas and stitch using 6-strand embroidery floss. 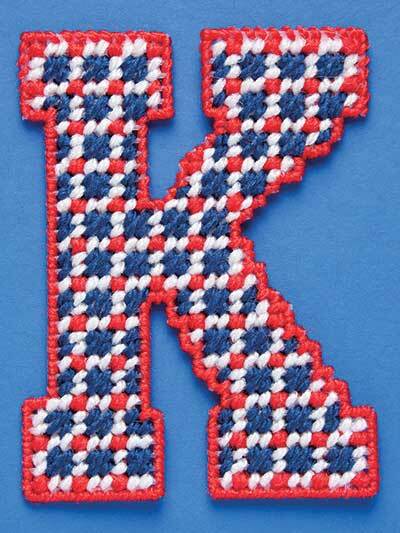 I made these letters for my 2 year old granddaughter for her birthday. 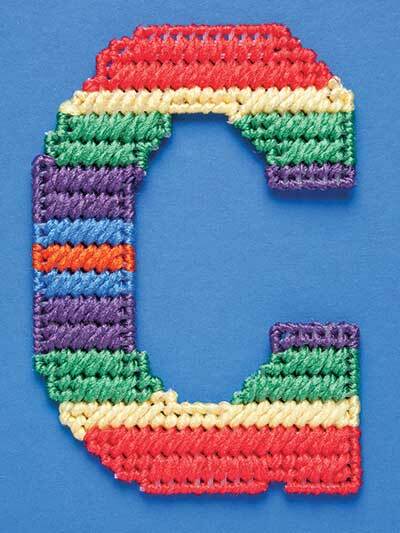 I did all the letters in different colors so she would learn her colors and letters at the same time. 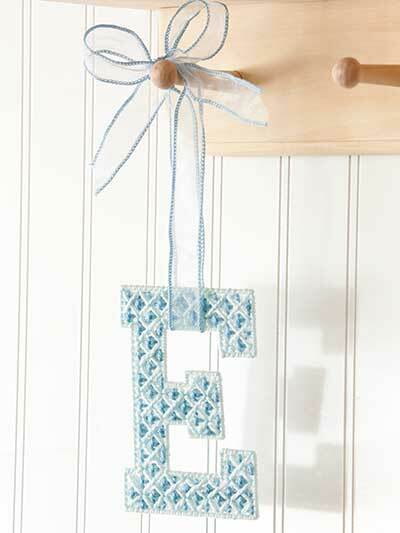 I also made a box for her to keep them in. 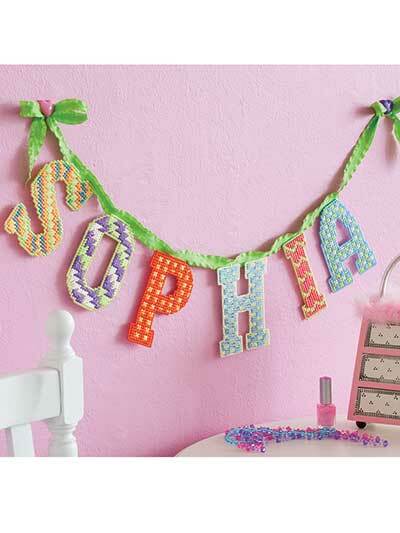 She loves them and pulls them out every day to play with them not realizing she is also learning. 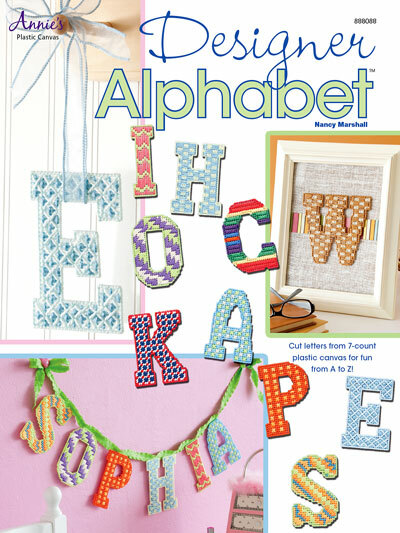 In less than two months she can say and pick out her letters and colors.